Winter is almost done while Spring season is approaching in London. The time where people are more active in their businesses or careers. What plans do you have in mind? We can help you start your career before the spring season totally starts. Come and join us in our London Tech Job Fair this last week of February. There are a lot of opportunities we can offer you because the best companies are with us looking for tech talent. Work in Denmark is excited to meet you. Start building your plans! You're a step closer to starting your career. Work In Denmark provides international job seekers and Danish employers with the information, guidance and tools to find each other. The company is a public employment service for highly qualified international candidates looking for a job in Denmark, and Danish companies searching for talented candidates. They are part of the Danish Ministry of Employment and member of European Employment Service (EURES). So if you have plans to work in Denmark, then this is a great opportunity for you. This is the time to prepare for the big adventure and get ready to invest a lot of time and hard work. The Danish job market is dynamic and new job openings may arise frequently. You may encounter competition among candidates (the average number of applications per vacancy is 52!) and you will have to do your best to stand out from the crowd. Show the employer what you can accomplish by researching the company thoroughly and pointing out the match between you and the job! Work In Denmark is on a mission of assisting Danish companies in recruiting highly qualified candidates in the sectors, where Danish companies face skills shortages. The company wants highly qualified international candidates and graduates to stay in Denmark. You've been into different job seeking situation trying to fit in but with Work In Denmark company, the team will give you the opportunity to cater to your tech talent. Improve your job opportunities in Denmark. The company has a lot of job seminars to participate in . Are you ready to explore your career in Denmark? Then meet the team because they will participate in most of the Tech Job Fairs we are hosting. Get that chance to know them personally in London, Dublin, Barcelona, Amsterdam, Lisbon, Frankfurt and Stuttgart. Get to know more about them on their Website, LinkedIn and Facebook. See you in London! The big day of the London Tech Job Fair is almost here and we are so excited about it. All this time we have told you about the companies that join us to find tech talent in London. Now, let’s remember them before we all meet on the 27th of February. DWP Digital- At DWP Digital, they design and develop digital services that almost everyone in the UK relies on at some point in their lives. Using creativity and leading-edge technologies, they’re reimagining the users’ experiences to make a real difference to our 22million customers. Brilliant civil servants work with our dedicated service provider, BPDTS Ltd - in inclusive, co-located, multi-disciplinary teams, united by this extraordinary social purpose. Prodyna- The name PRODYNA stands for professional and dynamic. Spread over nine countries, sixteen office locations and even more project locations, the company’s employees work in numerous customer projects. Despite different cultures and languages, they have a common vision: Bringing the customer’s projects to success and developing user-friendly software. Crossvale- Crossvale was founded in 2001. Since then the company’s mission has been to build a professional service organisation that offers more than just technical excellence. After many years working on integration projects on a variety of platforms, in 2015, the company decided to shift its focus towards open source projects. The team has been working to provide the necessary infrastructure to create a new competency across the company. At the moment, Crossvale is working on converting the company’s assets into open source projects as well as creating new assets that speed up the company’s access to the market. Work in Flanders- Work in Flanders is the international labour mobility service from the Flemish Employment Service (VDAB) looking out for potential employees abroad to help the innovative economy flourish and work out the shortages that this exciting Northern region of Belgium is undergoing. The company provides tailor-made international services for Flemish employers in need of professional staff. Derivco- Meet Derivco, the leading software development house in the online gaming world. The company takes the gameplay seriously and they understand that to get the best results they need to give their most to it. However, working with this team is as much fun as it’s serious. Derivco reached so much due to its amazing team. At Derivco, teamwork makes the dream work. There’s enough brain power here to fire a nuclear substation, and by putting their minds together there is nothing they can’t achieve. Work In Denmark- Work In Denmark provides international job seekers and Danish employers with the information, guidance and tools to find each other. The company is a public employment service for highly qualified international candidates looking for a job in Denmark, and Danish companies searching for talented candidates. They are part of the Danish Ministry of Employment and member of European Employment Service (EURES). So if you have plans to work in Denmark, then this is a great opportunity for you. This is the time to prepare for the big adventure and get ready to invest a lot of time and hard work. Credit Karma- Credit Karma was built upon a singular mission — to make financial progress possible for everyone. So far, they’ve done this with free access to credit scores, reports, tools and education. Everyone deserves to feel confident about their finances. The company’s job is to give people the tools, the education and the opportunities they need to make real, meaningful progress. Thinking about finances can be frustrating, but they’re working to make the process simpler and easier to understand for over 75 million Credit Karma members. PwC- PwC helps organizations and individuals create the value they're looking for. They're a network of firms in 157 countries with more than 223,000 people. Of the 50,000 people they hire each year across our network, half will be students beginning their career with the company and the other half will be experienced professionals looking to further develop their skills and experience. Each will join them for their own reasons, but often they will be attracted to the quality of their client base, the variety of work the team does, the investment they make in their people and their development and opportunities to work internationally. Salt- Salt connects people and businesses globally within Creative, Marketing, Sales and Technology. The company value and respect differences. They believe that as an organisation they make it their mission to ensure that their employees feel absolutely comfortable in bringing their whole self to work, not only does this ensure their colleagues can work in a respectful and open-minded environment but, it makes business sense. Key Talent Personnel- They are in the market to act as a specialist, not generalist provider of recruitment services. They have adopted this approach because their MD Lauren Halket, believes that in the highly competitive candidate market in which they all operate, the specialist providers will deliver and add the greatest value to companies seeking to recruit in these sectors that the company operates in. Polystream- Polystream is a truly scale-on-demand interactive streaming platform, enabling businesses to deliver unmodified 3D applications to instantly engage with customers worldwide. No dedicated cloud infrastructure, no capacity constraints and no downloads – just pixel perfect content made accessible direct to their devices. CausaLens- The company was founded in London in 2016 and since then has gained a lot of success in the industry. They are building the next generation of predictive technology for complex and dynamic systems. It is very hard and super fun. That’s why they are looking for the best talent to join them and their mission. They accept applications from the brightest scientists and engineers all year round. Movable Ink- Visual is the language that moves people. Built for the visual era, the Movable Ink platform enables brands to create compelling visual experiences that are based on relevant data and that are unique for each consumer at every moment. X4 Group- Officially one of the fastest growing businesses in Europe, X4 Group are a global leader in specialist recruitment, providing expert contract and permanent recruitment solutions to businesses across the globe. They’re an ambitious bunch with a proven track record for delivering exceptional results and continuously strive to be the go-to recruitment partner across the specialist brands. Reach your full potential by finding a role that suits you – and your skills. PitchMe measures your skills and capabilities to match you with a job that’s suited to you. Let’s get started. All these amazing companies will wait for you along with us. Come and join London Tech Job Fair. This is your chance to meet the teams of the city’s leading companies. Don’t forget to bring your CV’s and read some of our articles for job seekers. See you soon! Spring is almost here so is our London Tech Job Fair. This is your chance to start the spring with a new job to level up your career. A lot of companies will be there hoping to find the best tech talent in London and you may be the right fit for them. One of those great companies is Key Talent Personnel a bespoke, technical recruitment agency, working on a global basis (UK/US, Europe) adding value with a consultative, personal approach. They are in the market to act as a specialist, not generalist provider of recruitment services. They have adopted this approach because their MD Lauren Halket, believes that in the highly competitive candidate market in which they all operate, the specialist providers will deliver and add the greatest value to companies seeking to recruit in these sectors that the company operates in. The company’s philosophy is simple but KEY. They connect the most talented personnel with the World’s best and most innovative companies. They know that matching the right people with the right companies can produce pretty amazing results, although the reality is not always that simple, so that’s where they come in. Key Talent Personnel is expanding and they need more people to join their team and their mission. As a recruitment company, they surely know how to make a team where you would love working. You can expect a lot of benefits and perks working with this team. Do you want to meet them in person? Then London Tech Job Fair is what you need. Get your tickets now and make sure to take a look at our blog where you can find a lot of useful articles for job seekers. You can also learn more about this company by visiting their website, Facebook, LinkedIn and Instagram accounts. We make your job seeking situation easy. Imagine companies gathering in one place offering job positions rather than you travelling to different places looking for a job. The shortcut way to get yourself on board is through attending Tech Job Fairs near your city. Every company with us have a lot of tech job positions to offer you. We are excited because our London Tech Job fair is finally happening this February. Get ready to showcase your tech talent and start creating your career. Sign up here for free! Our London Tech Job fair is a great opportunity for every job seekers near and within the city and Crossvale might be the company destined for you. The company was founded in August 2001 with a mission to build a professional services firm that offered more than just technical excellence. They wanted to deliver business value in a world where technology is essential but intimidatingly misunderstood, and where making development a commodity doesn’t deliver the goods. The objective and focus of the Crossvale team is their customers' success. Since day one, they remained steadfast to this objective, because they recognized that their success depends on the success of their clients. They expanded into a business where they help customers modernize using cutting-edge platforms. Crossvale knows the benefits of modernization but they also know the challenges involved to move, that's why they mentor every company on the journey of modernization. The company has over decades of experiences working on the monolith in various sectors. Crossvale can help business owners overcome the hurdles involved in any modernization strategy. They have high levels of customization for each client. Their certified Red Hat consultants are highly qualified professionals that provide technical and leadership skills to enable them to reach customer's goal. See that benefits? Exciting isn’t it? With Crossvale, you can really improve and master your tech expertise. You can grow with the team and enjoy the company's companion. You can easily build a relationship with the team and create a happy work environment. The long wait is over now, show them your tech talent and prepare yourself because now is the chance to meet their team. Come and join us in London! This Tech Job Fair can be your stepping stone to start your future. The Crossvale team is ready to meet you. Ignite your career and join their team. Be updated! More information about the company is available on their Website, Facebook, Twitter and LinkedIn. See you in London! Do you want to level up in your career? Then it’s time to think about getting a new job you have dreamed about. Berlin Tech Job Fair is an amazing chance to meet leading companies that are looking for tech talent to join their teams. As in the past years, Productsup joins us again and may be looking for just you. Get to know them before you meet the team in person. In 2010, two entrepreneurs founded Productsup with the simple objective to manage retailer feeds, agency-style. Along the way, a light bulb moment happened that would instantly set Productsup on to a new path to pioneership of an untapped space within the digital economy: Productsup became a cloud-based, SaaS platform that would empower commerce enterprises to seamlessly transfer their product content to the global matrix of ever-changing shopping and marketing channels - putting these companies in the driving seat of their own digital transformation journey. Now headquartered in a modern office in the heart of Berlin, Productsup has over 800 customers, including Fortune 500 companies, and a team of more than 115 FeedFighting talents located all over the world. The team unites 26 nationalities. While being spread across 10 offices worldwide, they’re one big happy family. They believe that performance should be measured by the work created, rather than the hours put into the office. The company is always looking for exceptionally talented, ambitious individuals who aren’t afraid to take initiative and make an impact in a fast-paced market environment. They care about diversity, inclusion and individuality at Productsup. The team has clear cut roles for optimal productivity which are open for new talent, but they do not have a clear cut idea of who should fill them. So long as they are true to themselves, enjoy puns about data, free pizza during onboarding week and Mario Kart tournaments. “We have a Chief Heart Officer, Benno the Golden Retriever, who monitors workplace stress levels. He has hired a puppy intern named Theo to help patrol the two-storey workspace in Berlin. Let’s not forget the Boston Terriers, Holley and Baloo who always lift office morale. Our Berlin office kitchen is always fully stocked with free fruit, snacks, beer and wine. And more often than not, boxes of doughnuts “just because”, cinnamon buns when it's cold, home-baked goodness or delicious travel souvenirs from our fellow coworkers. Our meeting rooms are named after women and men known for their revolutionary contributions in tech and society, such as Alan Turing, Grace Hopper and Rosa Parker. Mindfulness and fitness are important to many FeedFighters, so Productsup likes to contribute to Urban Sports memberships to make life that little bit easier. Do you feel like you should be a part of this big family? Then Berlin Tech Job Fair is what you need right now. Get your tickets and make sure to take a look at our helpful articles for job seekers to increase your chances to get hired! You can also learn more about Productsup by visiting their website or their accounts on Facebook, LinkedIn, Twitter, YouTube and Instagram. The big day of the London Tech Job Fair is not far and you still have a chance to read about the companies that join us to find the best tech talent of the city. This time we want to introduce causaLens a machine that predicts the global economy in real-time. They develop the next generation of autonomous predictive technology for complex and dynamic systems. At causeaLens, they call it the CLPU (causaLens Predictive Unit). This technology helps large organisations optimise business outcomes at scale. The company was founded in London in 2016 and since then has gained a lot of success in the industry. Instead, they have a lot of benefits to offer. Not only will you be able to work in a dynamic team that is heading on the way of big success, but also you will get a lot of knowledge and experience. Join the London Tech Job Fair and get a chance to meet the team of this startup with a bright future in person. Make sure to read some of our articles for job seekers to increase your chance to get that dream job. You can also learn more about causaLens and its amazing team by visiting their website, LinkedIn and Twitter. We are so excited to see such wonderfull companies joining us for our Tech Job Fairs and want to share with you! All of these companies come in the hope to find the tech talent they need who will become a part of their mission and vision. Credit Karma joins us for London Tech Job Fair and here is their story. Credit Karma was built upon a singular mission — to make financial progress possible for everyone. So far, they’ve done this with free access to credit scores, reports, tools and education. Everyone deserves to feel confident about their finances. The company’s job is to give people the tools, the education and the opportunities they need to make real, meaningful progress. Thinking about finances can be frustrating, but they're working to make the process simpler and easier to understand for over 75 million Credit Karma members. But thye’re onto something much bigger. Credit Karma is redefining the entire marketplace. Far too many credit card and loan applications are being denied. Far too many people are losing out on thousands of dollars due to needlessly high interest rates. Credit Karma is here to change that, and they have the platform to do it. The team is already exploring a few far-reaching opportunities — like the reinvention of the markets for credit cards, personal loans, insurance, mortgage and auto lending. Oh, and they’re reshaping the tax filing industry to be free, easy and accessible for everyone. But most of the opportunities that lay ahead are still unknown. So are you up for the challenge? Then buckle up — there’s a long, rewarding journey ahead of the company, Karmanaut! The little things that keep you going. Work-life balance starts with personal well-being. Because you can't live off work snacks. They make room for you to grow. So? What about joing this amazing team? Make sure to get your tickets for London Tech Job Fair and get ready to meet them in person? BTW check out our help articles for job seekers. You can learn more about this company by visitng their website or Twitter, Facebook and LinkedIn accounts. More and more companies join our Tech Job Fairs to find the talent they need and we are excited to share their stories with you. Meet Work in Flanders who joins us in London Tech Job Fair. Work in Flanders is the international labour mobility service from the Flemish Employment Service (VDAB) looking out for potential employees abroad to help the innovative economy flourish and work out the shortages that this exciting Northern region of Belgium is undergoing. The company provides tailor-made international services for Flemish employers in need of professional staff. This exciting company joins us in London and has a lot of opportunities for you. Make sure to get your tickets and meet the team of Work in Flanders in person. This may be your chance to level up your career. You can also learn more about the company and what they do by visiting their website, Twitter and Facebook. Looking for great opportunities to reach the next level in your career? Then we have some good news for you. A lot of great companies join our Tech Job Fairs looking for tech talent to join their teams. Created by the StepStone brand, Jobsense.ai is one of the companies that join us in Munich and Berlin. You may be the one they are looking for! More than 60,000 companies use the StepStone job boards successfully for the recruitment of qualified specialists and executive staff. Founded in 1996, StepStone is one of the most successful online job board businesses today. They operate over 10 top brands with 60 million visits and more than 600,000 jobs per month. The creators of Jobsense.ai are the innovative minds of StepStone. They are passionate about the topic of job search and finding the perfect job for every developer, which includes finding a new challenge for them to master their skills. One important factor Jobsense.ai apart from others is that they want to get to know each of their customers personally in order to be able to offer them jobs that really suit them and match what they are looking for. They want to turn the tables in the job search of IT specialists. With Jobsense.ai companies apply to job seekers! The young team with innovative and new ideas and never want to get stuck in old habits. The team always works hand in hand. Of course, there are assigned tasks for everyone but usually, everyone looks for what must be done or what could be done to make their candidates more satisfied and make better matches and then goes for it. In return, they are looking for professionalism, drive, dedication and the ability to overcome challenging situations and deliver impeccable end results. Want to meet the team of Jobsense.ai? Then join our Tech Job Fairs in Munich and Berlin. Get your tickets and get ready! Make sure to check our articles that can be very helpful to make a great first impression on the team. You can also learn more about the team if you visit their website, Facebook, Twitter and LinkedIn! According to Business Insider Berlin was included in the tenth of the best cities in Europe to live and work in 2018. Most probably it will get only better in 2019. While you think about moving there, we want to make it easier for you to find a job organising Berlin Tech Job Fair. And here is talent.io a potential employer of yours. Talent.io is the simplest way for software engineers to find great jobs in innovative companies. Create your profile in a few minutes by importing your LinkedIn profile. No CV or cover letter needed: companies apply to you, and you decide who you want to talk to. It's that simple to find your next job. In 4 years, talent.io raised € 10M and grew from 3 people in Paris to a team of 130 across 4 countries. They aspire to become Europe's #1 career platform for all professions in high demand. The company operates in Paris, Lyon, Lille, Toulouse, Bordeaux, London, Berlin and Hamburg. Over 150,000 developers and 3000 companies (including Deezer, Blablacar, Parrot, N26, and many of the best startups in Europe) have already signed up on the platform and hundreds of offers are made every week to software engineers looking for their next dream job. In the journey of helping companies and tech talent meet, talent.io is looking for awesome talent to join their own team. You'll be able to work with the founders and country managers, take ownership of projects you care about, brainstorm with anyone on the team design-thinking style, and make an impact by disrupting an entire industry! Don’t hesitate to join us on Berlin Tech Job Fair and get a chance to meet the team in person. Get your tickets now! You can also read our articles on how to interact with a potential employee on Tech Startup Jobs blog. Every year, more people receive the privilege to start their career. In every Tech Job Fair, we make sure you'll able to find a position suitable to your expertise. 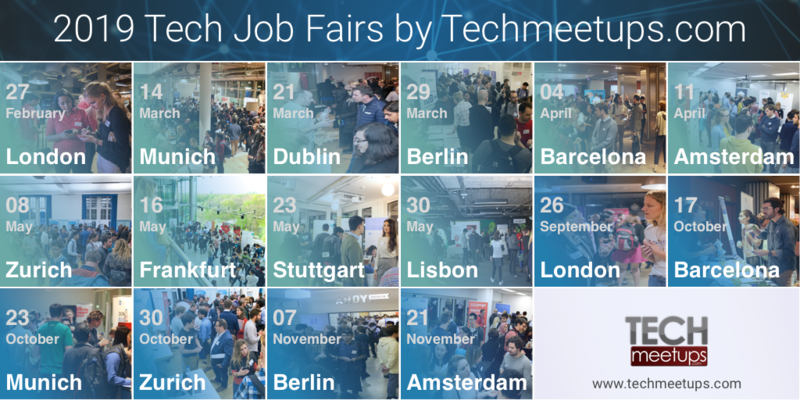 And now, our Berlin Tech Job Fair is coming this March 2019 with a lot of opportunities. You're one step closer in building your career as many companies are with us waiting for passionate individuals to join their team. And maybe, Finleap is for you? In the span of four years, Finleap was able to build the largest fintech ecosystem in Europe and successfully launched 16 fintech companies. And these companies are championing in their respective industries. Yes, you read it right! Finleap is a fintech company. The company's mission is to reshape the way consumers and enterprises manage their finances. Finleap is now becoming the solution to many financial problems of different institutions. The company has developed deep expertise to address the customer's needs, the company also builds technology companies that will sustain all of the financial concerns of businesses related. The company's ecosystem offers a variety of financial solutions; they create superior value propositions that made their consumers and SMEs manage their finances easily. The ecosystem of the company is made to transform finance. Finleap is Europe's largest fintech company builder. The company group employs around 700 people from 60 countries. They are on the vision of reshaping future finance together. The company's passion is to build fintechs that will truly solve the pain points of customers regarding finance. The company has 12 departments and each of that department is waiting for someone to be part of their team. Finleap success lies in respect, trust and the diversity of their people. They strive for the highest performing teams where collaboration, individual contributions, and excellent results are rewarded. You will learn every day through your colleague's permanent curiosity and valuable feedbacks. They build trust and communicate professionally to maintain the long-term relationships inside the company's team. What else do you need? These are some of the company's benefits exclusive of intangible things that the company's team can give you to grow and build your expertise. We are sure enough that Finleap is for you! So if you’re motivated to grow with the team; has the passion to learn; open-minded and willing to share knowledge for excellence; trustworthy; responsible then you’re in! Here in Finleap, excellent results are rewarded! See you in Berlin! Don't forget to Sign up. Are you very passionate about technologies? Are you trying hard to fit in this industry? Worried if you're suitable or not? Worry no more! It's our passion to serve you the best companies you need for your career. Due to the increasing demand for job seekers, we are happy to announce that in this upcoming Munich Tech Job Fair a lot of opportunities await you. But for now, we are glad to introduce you Lennon Wright whose team is destined for your job seeking needs. They dig deep to your expertise just to find the perfect vacancy position available for you. Here! We share you the interview we've made - every detail is worth to read. Don’t forget to SIGN UP - it’s free! Lennon Wright was founded by Tech enthusiasts John Lennon & Robert Wright. John & Rob’s goal is to give control back to the candidate when searching for a job. They want Lennon Wright to support Tech Talent from the dev room to the interview room! John has lived in both Munich and Vienna and is a passionate fan of Chelsea FC. Robert now lives in the USA and is expanding Lennon Wright’s American business. Rob & John both worked for the “typical recruitment company” where they learnt how NOT to work with candidates. Their vision was to create an honest, ethical, transparent and above all, candidate-focused company that gave power back to the candidate. By focusing on delivering an excellent service to candidates and working with them to develop their career, Lennon Wright have established an outstanding reputation across Europe and the USA. The Technology sector is booming! With exciting developments in AI, Data and Development, there has never been a better time to work in Technology! There are more jobs available than EVER and it has never been easier to find your dream job. Lennon Wright’s brand stands for honesty, excellent service and a candidate-centred approach – this helps us to stand out as a partner of choice to candidates looking to improve their career. We love that we grow people. We work in a people business and we love the challenges and rewards that come with that. There is no better feeling than helping somebody to find their dream job! We make a difference and we are proud to say that over 750 people have found their dream job via Lennon Wright since 2015! When Lennon Wright first started in 2015 we were working with a candidate who had not worked in 9 months. He was a great developer but had had some bad luck. We found him a job outside London which was perfect for him but the transport links were not great. So we bought him a car! So he could get to work. He is still working for the client and has never looked back 😊. We are proud of our company culture. Our Values of Fun, Success, Respect and Transparency guide EVERYTHING we do. Our team genuinely enjoys what they do and they are successful whilst doing it – win-win! We want to represent the best quality service and the best jobs for candidates looking for work in Technology. Our international team is more like a family. Our team work collaboratively to achieve common professional and personal goals. We work hard to ensure that our team is happy, motivated and rewarded – this means that they provide excellent service to any candidates they work with. We are looking for Tech Talent who are looking for work anywhere in the EU and the USA. Germany is a particular focus of ours. The best match for us are people who are motivated and committed to improving their careers. If this is your goal, we can help you! The biggest plus of working for us is that we offer our team freedom and the genuine chance to achieve whatever goals they have. We work with them to help them achieve professional and personal excellence. Our 2020 vision is to be the #1 Tech Talent brand in the EU and USA. We want to grow our offices in Munich, London and Richmond,VA and open further offices throughout the EU and USA. Lennon Wright is looking for more individuals who are passionate enough to grow with them. So if you're in don't miss this out - sign up now MUNICH TECH JOB FAIR to see all the opportunities waiting for you. Interested to learn more about their company? Feel free to visit their Website, Facebook,and Twitter. Are you already immersed in an agile transformation and most of the ‘Agile 101’ conferences don’t bring anything new to you? Maybe you’re looking for something more? Like a place to meet with other like-minded and experienced agilists? A place where you’ll actually learn something new? We’ve got good news for you. The Aginext Conference returns to London this spring! Don’t make plans for the 21st and 22nd of March 2019 because that’s your time to get really deep into all things agile. Stop having static teams, start moving people to the work! Interested? Check out the full schedule of the conference. In between the talks, the Aginext attendees are presented with one of the best networking opportunities ever. These two conference days provide a unique chance of finding people who — just like you — are all about agile transformation. While listening to the speakers will definitely prove fascinating, it’s the experience-sharing which makes Aginext conference so special. The mix of expertise, personalities, approaches and ideas won’t repeat anywhere else — so make sure you’re in London on the 21st and 22nd March 2019! Ready to join? Make sure you stay up to date: visit Aginext Conference site to register and follow them on Facebook , Twitter or Instagram! Couple that with the fact many positions in tech have starting salaries of$60,000/year or greater and you have one of the most competitive, in-demand job markets around. Tech job seekers need the right skills to land a lucrative job. A Thursday report from Indeed examined the fastest-growing skills that these professionals are searching for on their site, including the programming languages and tools they want to use in a new position. Indeed analyzed the fastest-growing search terms used by job seekers looking for tech jobs on the site, and compared them to the year before. Here are the 10 hottest skills that tech job seekers are searching for in a new role. Software developers familiar with Kubernetes—the fastest-growing skill tech job seekers searched, by far—can help organizations scale their cloud computing systems alongside other containerization tools like Docker, according to Indeed. Coming in at no. 2 is Magento, the open source ecommerce platform written in PHP. This software helps ecommerce businesses run smoothly, and jobs in this area are growing rapidly, Indeed found. Verilog is a hardware description language used to model electronic systems. Its popularity on this list demonstrates how valuable hardware engineering still is, even if software skills are often more widely discussed, Indeed found. Golang—Google's Go programming language, often called Go—is one of the most in-demand programming languages. Go powers some of Google's biggest properties, and is optimized for running on the multicore processors, networked systems, and massive computation clusters that underlie web services. Open source software Ansible automates software provisioning, configuration management, and application deployment. Open source tools showed strong growth overall on this list. Computer-aided design and drafting software application Autocad has been a mainstay in fields like architecture, graphic design, and engineering for years. Another open source PHP software tool, Laravel is used in web application development. Facebook's React framework was the fastest-growing tech skill last year, but fell to no. 8 this year. The programming language C remains popular in open source software, and for a variety of other uses. Some tech skills experienced a drop in tech job searches this year, Indeed found, including Spark (down 47%), Hadoop (down 64%), Ruby (down 23%), Tableau (down 15%), and R (down 8%). However, this doesn't mean that these skills are no longer needed. In many cases, a drop signals that the skill has matured, and may have a large overall share of searches. For example, while searches for "IT" are growing slowly, it is still one of the most common search terms for job seekers on Indeed, the report noted. "Hadoop, AWS, R, Spark, and Tableau are all widely used tools and will likely continue to be so for some time," Andrew Flowers, economist at Indeed, wrote in the report. "But in 2018 they are no longer among the 'hot' skills for tech job seekers." Only about a week left until Zurich Tech Job Fair 2018 - and it’s high time you meet all the companies who will join us for the event. If you’re still unfamiliar with them, don’t worry - this post will tell you who exactly is coming to the fair and who they are. Hold on tight - here it goes. Avaloq is the leader of digital transformation in the finance sector. This quickly growing company looks for new and ambitious employees who understand the challenges of the industry. If you think you’ve got what it takes to join their team, go right ahead chat them up at the fair. American Express, the world’s leader of financial services in several different aspects of our lives joins us for the fair in search of new employees. They hardly need to be introduced - and you too can now join their team after you talk to them at our event. Leica Geosystems is one of the oldest companies we’ve ever had coming to our events. Now, they’re going to be with us in Zurich and searching for more talented people to help them upkeep their mission. Advertima is a company behind changing the way we perceive and use adds. They create software that helps their customers achieve better results from advertising. If you think you’ve got the skills to make their solution even better, they’ll be waiting for you at the fair. 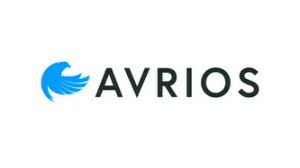 Avrios delivers outstanding solutions to help their customers navigate their whole fleets. They’re quickly growing and ambitious, and so they need talented people to join their team. Are you in? Beekeeper changes the way employees communicate in the companies. If connecting people better and more effectively is something you’d like to be a part of, Beekeeper has a position just for you. 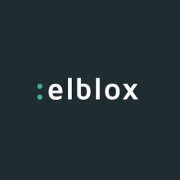 Elblox delivers solutions for block-chained based P2P market and they are planning to expand their business in the nearest future. You can help them do so if you lend them your skills - ask them who they’re after during the job fair. Sunflower Labs connect what’s the best about startups - Swiss precision, Silicon Valley startup approach and innovation. Be a part of their awesome company culture. Have a chat with them at Zurich Tech Job Fair! 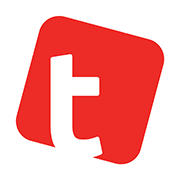 TieTalent helps other employees find the perfect talent for their business and companies. You too can help connect professionals with the right working place. Ask them who do they need on their team - it may be you! Fotokite is the local leader of aerial photography. If that’s something you’d like to be a part of and help them create their advanced technological solutions, you should definitely talk to them during the fair. Auterion is the one of the largest contributors to the drone market. They’re delivering their solutions as best as they can, but to grow and expand, they need more people like you. See if you could match in their team - have a chat during the event. PriceHubble delivers one of the best solutions for pricing in the real estate industry. They’re that company you will fit in if you love real estate and data - and you know how to connect them for the best possible outcome. Coffee and technology? Why not! Algrano connects both to make it possible for the best coffee specialists sell their products directly to their clients - all over the world. Of you coffee is your love, then Algrano is your dream job. Vlot created a platform for open and agile risk analysing and life planning. If what they do appeals to you, then you can’t miss your chance of talking to them during our Zurich event. Find their stand and see who they’re after! Frontify is the company behind creation of software that makes the work flow between design and development more fluid. What do you think? They’re looking for new ambicious employees and they have a lot to offer in return. RetinaAi supports the Swiss eye care professionals with their AI solutions. Their technologies hold real potential of being life changing to many people. Join their team and become a part of what they do! KingFluencers specialise in influencer marketing and guide their customers through this often advanced marketing process. Help them deliver even better services - they’re going to be waiting for you during the event, ready to discuss the perks of working for them. Our Zurich event is closer and closer, so make sure you don’t miss the chance. Book your free event ticket and meet all these companies in person!